i b i k e l o n d o n: Plan your summer of cycling now with Jack Thurston's "Lost Lanes"
Plan your summer of cycling now with Jack Thurston's "Lost Lanes"
Cycling guidebooks are sadly ten-a-penny, bashed out by marketing hacks on a deadline armed soley with a bundle of stock images, Google maps and a loose comprehension of geography. Their work is destined only to clutter shelves of downbeat bookshops liberally collecting dust, or to weigh heavy with unwant in the bottom of Christmas stockings filled with disappointment. But occasionally a book comes along which is such a treasure trove of personal insight that it shines a light on the "guidebook" genre so bright it blinds the competition away. 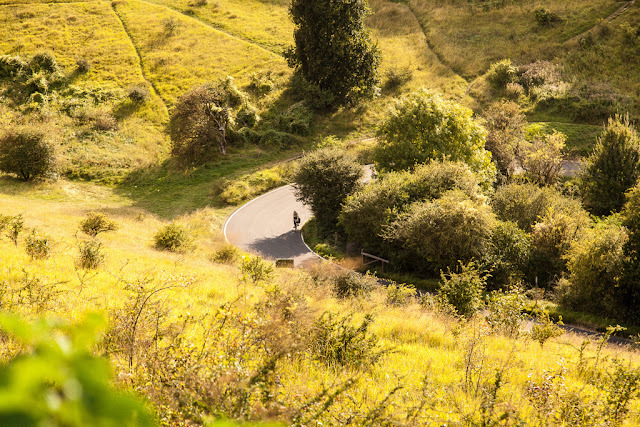 Jack Thurston's new book "Lost Lanes; 36 Glorious Rides in Southern England" is just such a tome. 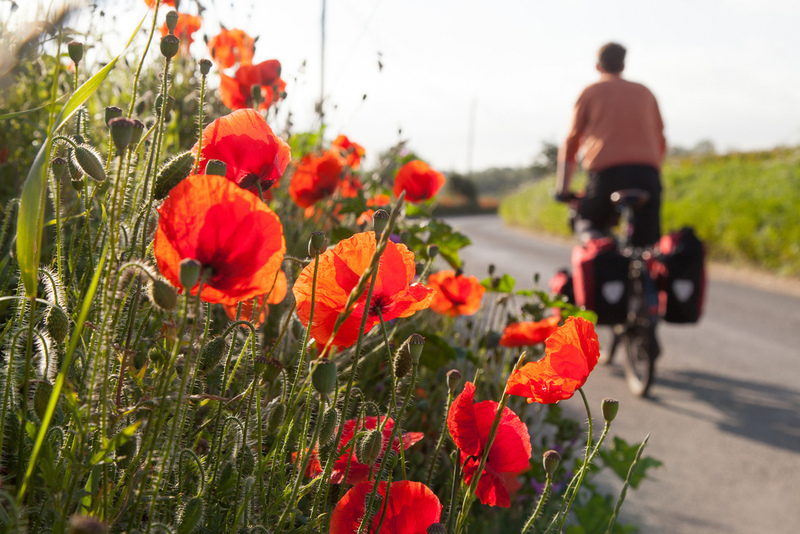 This is a personal guide to Jack's favourite cycle routes across the region, all easily reached by train from London, and lovingly curated in to a beautiful guide that is also a joy to read as an armchair traveller. Those who know Jack from his work as the presenter of Resonance FM's The Bike Show will be familiar with his passion for all things two-wheeled, his love of the English countryside, his keen eye for eccentric and intriguing good storys, and his down to earth wit; all this is evident in Lost Lanes, and Jack's obvious passion for sharing the very best of what our region has to offer by bike shines through. His ethos is that not many people enjoy cycling on heavy A-roads and dual carriageways, and that increasingly B roads in the south are a heaving melee of slow moving traffic too. But there are still an entire network of country lanes, drover's roads, bridleways, ridge routes and ancient trails that criss-cross our region and provide the perfect antidote to the creeping suburbanisation of England. Distilling his many years of exploring by bicycle in to the book, Jack acts as our guide across the flatlands of Essex, the rolling hills of the South Downs, through hidden Wieldien valleys and even around the docks and canals of East London. Along the way our attention is gently guided to interesting village churches to visit, strange and unusual local landmarks, the prettiest vistas and of course the best place to stop for lunch, afternoon tea and a well-deserved pint at the end of the day. There are top tips here too on where to really escape it all with a refreshing dip at the best swimming spots, and even some hints on how to best get away with wild camping. Routes are rated as easy, medium or hard, and let you know if it is busy sections of road or thigh-popping hill climbs that will challenge you. 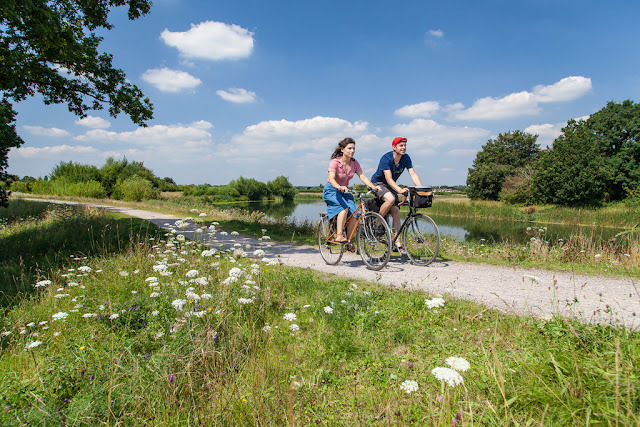 There's a handful of routes entirely suitable for families and even very small children to ride, whilst if you're a pottering leisure rider, or even a happy weekly commuter then there's something here for you. Indeed it is a crime for a beautiful bike to only be used to navigate the Elephant and Castle roundabout every morning and Lost Lanes will have you dreaming up all sorts of days out to liberate your bicycle. Women (some even wearing skirts, the shock of it!) feature throughout which makes an entirely refreshing change of scenery from the so often prevalent image of roadies in lycra with their bums in the air in similar guides. That's not to say that roadies wont find plenty in Lost Lanes to have them salivating at the prospect of a spin; the "Surrey Hills Legbuster" in particular looks like a corker. A series of links in the book allow you to download turn-by-turn route guides, GPS directions as well as sketch maps to help you find your way. By cleverly putting all this information online, riders are liberated from the cumbersome act of having to carry the book around with them, as well as leaving more space inside the publication for the stunning photography. And the last word really should rest with Jack's resplendent photographs that feature throughout; never has England looked so golden and charming. 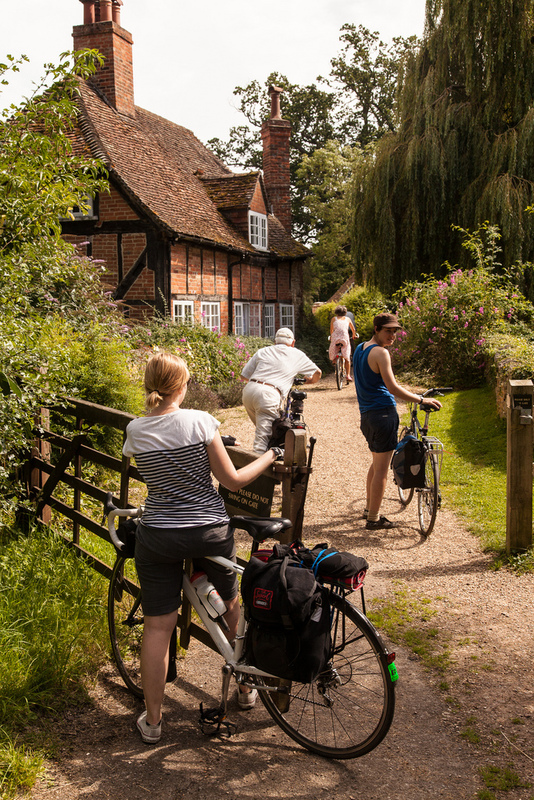 Lost Lanes is transformed from merely being just a guidebook, into a veritable love letter to a beautiful, largely unspoilt and still undiscovered corner of the country that is just waiting to be discovered by bicycle this summer. You can order Lost Lanes directly via The Bike Show's website for £14.99 (meaning the author get to keep a little more of the profit in an incredibly cut-throat publishing market) and Lost Lanes is also available at all good local book shops on general distribution. If you must use Amazon then please do so via this link, that way Jack gets a referral fee for each purchase made. Lost Lanes will be a treasured item in my bookcase for many years to come, as well as a continuing source of reference, plans and daydreams. I've already completed one of the rides in the book and would have happily paid £14.99 just to pay Jack to guide me on that fascinating and exhilarating route; the rest of the book already seems like a bargain. Buy your copy today. 10/10.